Associated Press Astros starter Justin Verlander gave up two runs in seven innings Monday in his first game in Detroit since the Tigers traded him in August 2017. DETROIT – Justin Verlander knew this would be one of the most emotional games of his career. 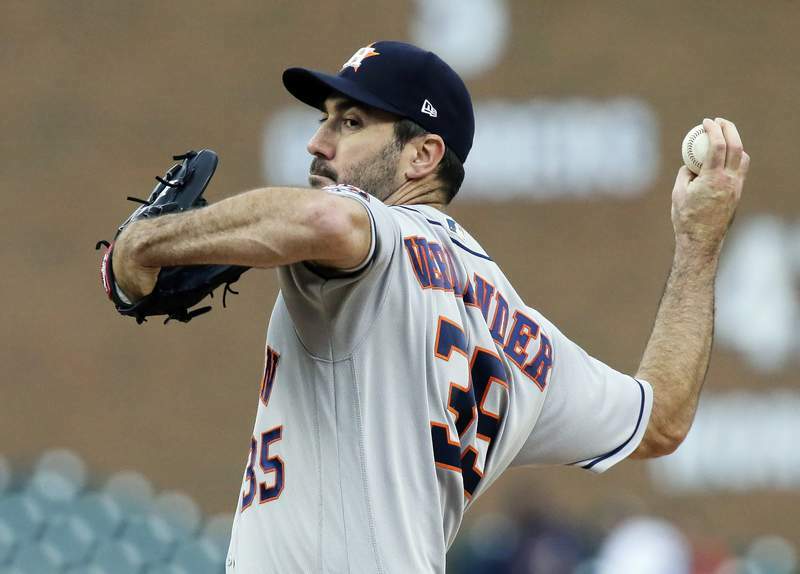 In his return to Detroit, Verlander received three standing ovations while pitching the Houston Astros to a 3-2 victory over the Tigers on Monday night. Verlander (15-9) made his major league debut with the Tigers in 2005 and ranks among the top 10 on several of the team's career lists. He struck out 10 over seven innings in his first time on the Comerica Park mound since being traded to Houston in August 2017. That hope ended early, as the scoreboard played a tribute video as Verlander was walking in from the bullpen after his pregame warm-ups. He stopped, alone in shallow right-center field, and watched the entire show. Verlander received his first ovation at the end of the video, and another when he came out for the first inning. Each time, he tipped his cap and waved to the fans. The crowd was announced at 19,711 – the Detroit Lions opened their season next door Monday night against the New York Jets. Verlander gave up two runs on six hits and one walk to improve to 98-50 at Comerica Park.